The Coral Snake, manufactured by Henrys, is an aluminum yo-yo with rubber rings and an adjustable gap. For many years Henrys only produced a single yo-yo, the Viper, which was popular with offstring players but outdated as a one handed yo-yo. With the release of AXYS system (which included The Cobra, Coral Snake, Lizard, and an updated version of the Viper), Henrys was trying to step up their game. This particular yo-yo was one of the very first ones released at the Midwest Regional Yo-Yo Contest in The Mall of America. I was working for Air Traffic, the US distributor of Henrys, at the time, so I was one of the first guys to grab a Coral Snake when they arrived. To our surprise, the Coral Snakes had engraving on both the inside and the outside of the yo-yo. Apparently the engraver, who probably didn’t have much experience with yo-yos, engraved the wrong side on the entire first batch of yo-yos, so they sent them back to him and he engraved the other side too. Some people say that the engraving actually affects the play of the yo-yo, making it more responsive or eating up string etc. I can’t really attest to either of those theories, but I can say that I’ve always been inspired to have a yo-yo engraved on the inside like a “secret” gift that only the owner gets to see… Of course this eventually did happen with The END yo-yo, when we engraved “S-H-M-O-O-V-E” into the recessed silicone yo-yo. It was more work and cost, especially considering you can’t see it from the outside, but I remember how much fun it was to open up my Coral Snake and show that awesome engraving off to friends. 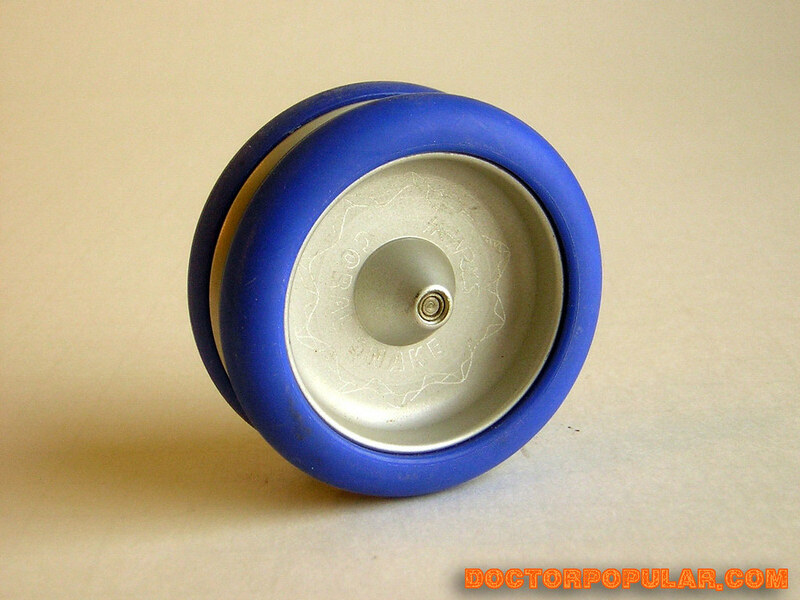 This is a great yo-yo even now. Unlike the viper (onstring), this is very smooth on the string and even loops decently. A lot of us hoped that they’d come out with a butterfly yo-yo using the same response system.. I totally just remembered why Tom was angry with Henrys! It was the release of the AXYS line that upset Tom, because of their use of negative starbursts. 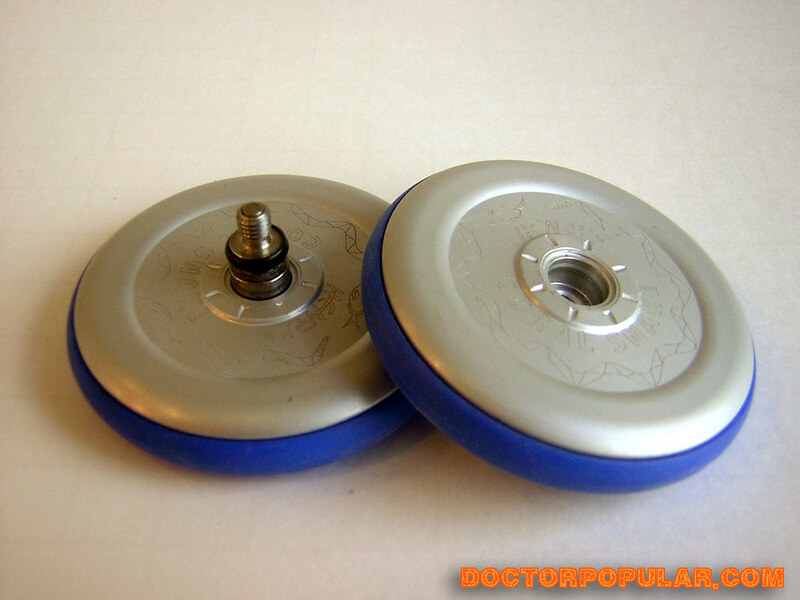 Tom claimed that the yo-yos infringed on his patents, while Henrys claimed that their response was a new “raised disc” response system.